Aptoide is an independent Android app store that currently hosts over 120,000 different applications with APT-style repositories. Currently, Aptoide is the largest of all independent Android app stores. Users have the option using multiple repositories so that their applications can be freely shared between different devices or with other friends also using Aptoide. 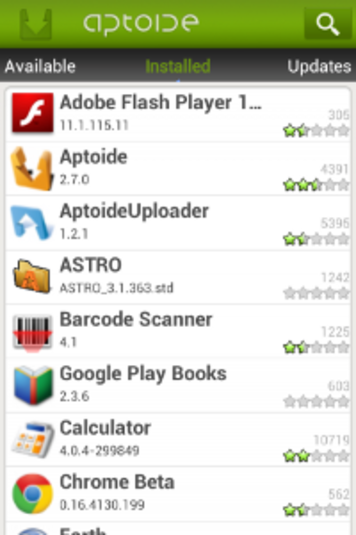 Each of the apps that Aptoide offers are available for free, which removes the need for a license server. For end user security, Aptoide has an Anti-Malware platform that conducts real-time analyses on all apps and terminates viral threats. Other security measures in place include third-party validation and signature validation.